On Monday, President Trump responded to Maxine Waters after she called for the public harassment of officials from his administration. “Congresswoman Maxine Waters, an extraordinarily low IQ person, has become, together with Nancy Pelosi, the Face of the Democrat party. She has just called for harm to supporters, of which there are many, of the Make America Great Again movement. Be careful what you wish for Max!”, Trump tweeted. Waters was under fire from fellow liberals after she suddenly called for the public harassment of senior Trump aides, with top Democrats distancing themselves from the dangerous rhetoric. 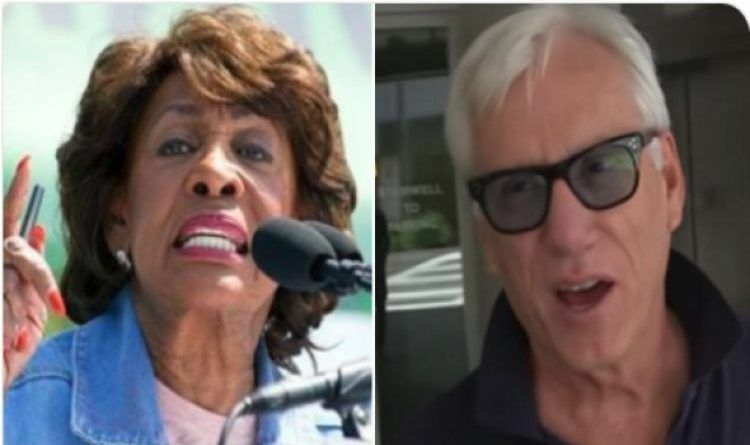 Outspoken conservative actor James Woods also responded. Woods warned Republicans to prepare for potential violence and urged them to “a) get armed, and b) vote” because “[y]our life literally depends on it” in an early Monday tweet. “Now that a United States Congresswoman has called for harassment against Republicans and the inevitable violence that will come of it, I urge all of you to a) get armed, and b) vote. Your life literally depends on it,” Woods tweeted. Agree 110%! Born and raised in Utah and as far as being armed we're very proficient with taking care of ourselves. Love your point of view Mr Woods! I just renewed my FOID card. I need to sign up for training. Also new @NRA member. The left is insane. It gets worse everyday. Senators got shot at. Maxine Waters is inciting violence against Trump administration. Celebs threaten his life and his children. The DHS secretary is accosted at dinner. ANTIFA attacks vets in wheel chairs.